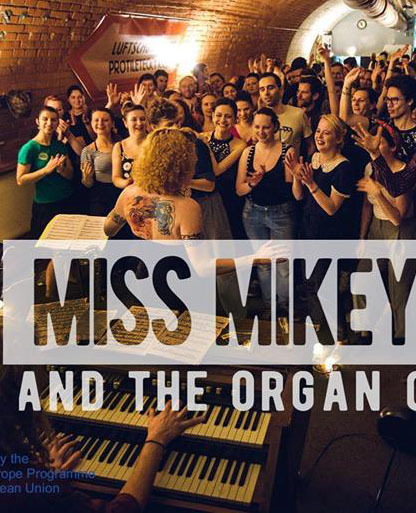 This April Lindy Hop Bulgaria welcomes Miss Mikey May and the Organ Grinders for a night to remember in the world of Blues, Swing, Gospel, Funk, and Soul music. Mikey grew up on the stage, singing, acting, and dancing since her school years and well into her twenties. In 2012 she joined the global swing and blues dance communities, dancing throughout Europe and absorbing the best swing and blues bands from the dance floor. 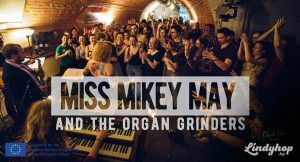 In early 2016 she launched the Organ Grinders project with Jan Kořínek, world-class Czech Hammond organ player and band leader. In October 2016, the project released their debut album, ‘Swing Out the Blues’, featuring dancer-friendly swingin’ blues tributes to classic tunes. The project’s second album ‘Stay With It’ was released in February 2018, and features Mikey’s original compositions as well as reinvented jazz and blues classics. Mikey’s powerful and soulful vocals are inspired by the great jazz and blues divas and deliver a double-dose of musicality and emotion that radiate on and off the stage. The concert is organized under the Swinging Europe project funded by the Creative Europe Program of the EU. The main objective of the project is to improve the networking and the cooperation among artists and professionals by establishing a European Swing Network and providing opportunities for young swing musicians to develop their careers internationally. This site uses both own and third party cookies to provide visitors with a much better navigation experience. Find out more.